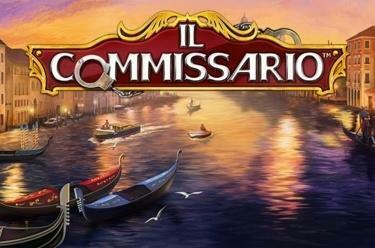 Play Il Commissario™ online for free now! You stroll around beautiful Venice passing sights like the Frari Church or the Rialto Bridge and suddenly you get a call: The police needs your help solving a crime - a Twist robbery. Along with the police inspector you investigate - will you succeed in reading the evidence correctly and catching the suspect? You better try hard because a large Twist reward is offered for solving the case! 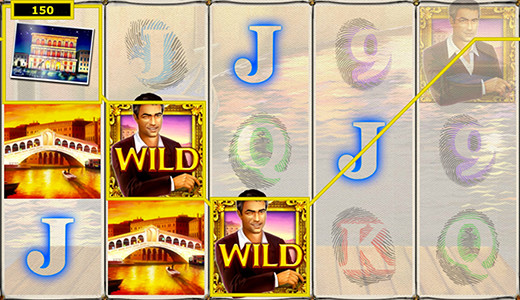 Your detective aim in Il Commissario™ is to line up 5 matching symbols along one of the 10 win lines that run from left to right across the reels. The police inspector gives you a helping hand because he can substitute for any symbol except for the Scatter and complete your winning combos. You trigger 15 Free Games with Suspect-Feature if you land 3 to 5 Scatter (Police-File-Symbols). 3, 4 or 5 Police-File-Symbols (Scatter) in any position on the reels trigger 15 Free Games with a very special feature - the Suspect-Feature! Your aim is to catch the suspect and collect a big reward. The red phone assists you because it randomly appears following some spins and reveals information about the suspected person. The circle of suspects shrinks with every clue that you can view by clicking on the file above the playing field. Following the end of the 15 Free Games you have to pick a suspect from the remaining persons. If you have guessed right you receive a up to 20 times bonus multiplier for your feature win!